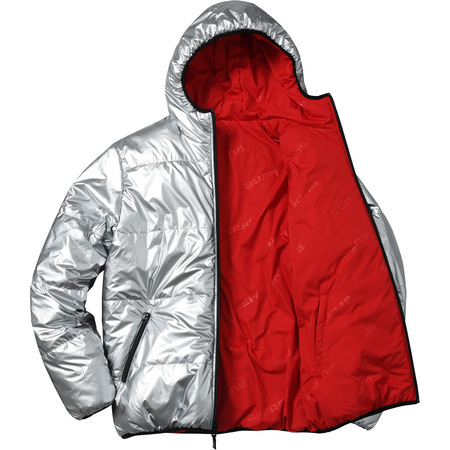 ur acting like re-selling supreme is perfectly cool and a thing everyone does when they need a bit of extra cash to buy their fith uc bomber, or latest long coat. 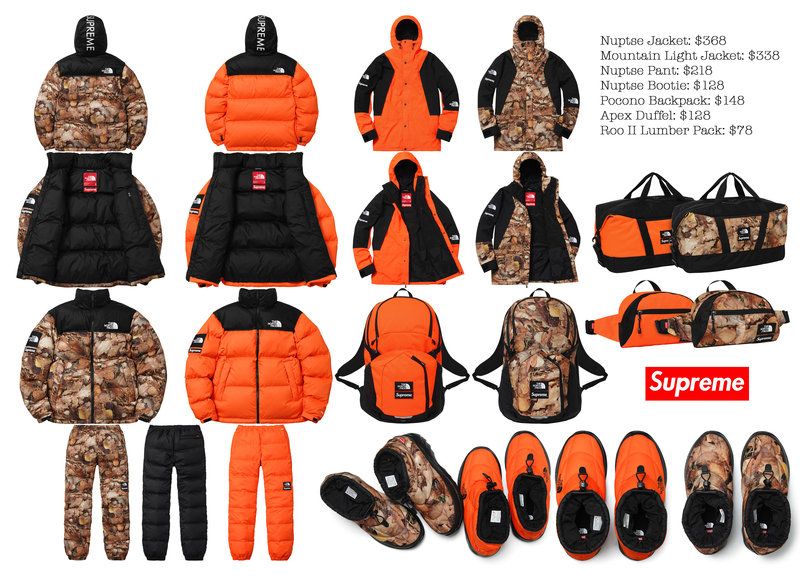 people in this thread really like supreme, even in this page people talking about how they're missing out on stuff because people are buying it up and selling it for extra cash. then you come in and ask how to re-sell stuff (stuff which people here wanted), not only is it insulting to fans of the brand, but it's doubly stupid as you couldn't even care, or know enough about the brand to know what's hype and what isn't. What about reselling items at their original price (including shipping) because you weren't sure about them? Re-distributing pieces to the people who missed out or abusing the community as a pseudo return service? shirt production moved to portugal this seaso?? 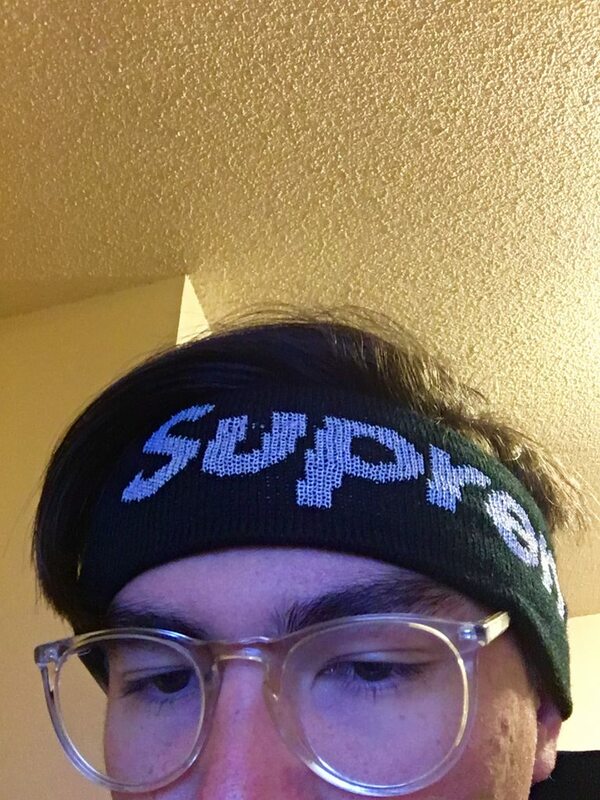 I had lunch with some friends from college the other day (actually it was brunch but don't judge plz) and I was wearing a supreme hat and my friends were like ''oh we saw a bunch of people in line for that store the other day, and we kept asking people what it was and no one would tell us." starfox64 wrote: ''oh we saw a bunch of people in line for that store the other day, and we kept asking people what it was and no one would tell us." I'd be embarrassed to tell anyone what I was doing, too. Gucci Tee is dropping. The hype will be unreal and to be honest I like it too. What do you guys think about it? Are the photo tees getting stale? Are you going for it? Going for something else from the drop instead? Picture for those who haven't seen it. Took a pretty good L on the Gucci drop. 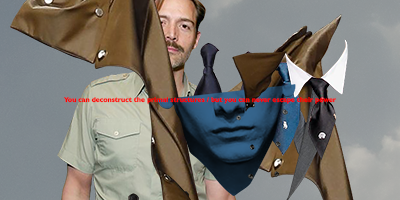 Site crashed again this time even worse than the Undercover stuff. Box Logo hoodies are going to be a mess this year. I'll see if I can find the sellout times and edit this post. 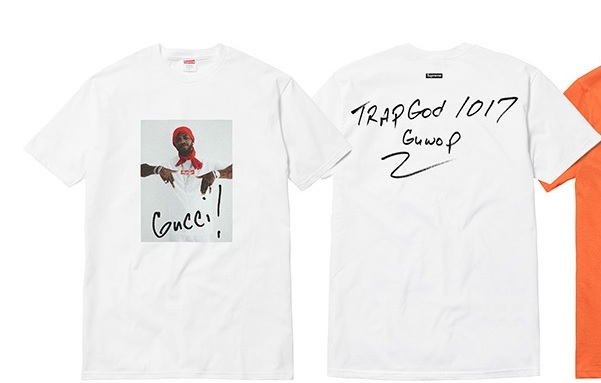 Hope some Gucci fans at least got one. I've been really considering the Embroidered Spider Pants in black. Thoughts on them? I could make fits with them with like plain tops and stuff. They look comfy for lounge/chill fits and light enough for the summer too. Any thoughts one way or the other? Some guy on reddit made an imgur album of all the Supreme backpacks he could find. Really good post imo, lots I haven't seen before. Love how you can see that a lot of the bags use classic designs from brands like Jansport and Patagonia. Copped the reflective headband last week. Didn't think I got it because I got no emails and I didn't get to the order complete page but a shipping email showed up later. I tried for it to test how fast I could be and kind of wanted it but now that I have it, it mostly just feels like I spent $40 on a headband I'll probably never wear. I won't resell because of laziness and I don't like resellers. Why couldn't I have been this fast for the Gucci tee. Also idk what to do with my hair while wearing this thing. Need suggestions. Edit. @alby PM me, I've been wearing it around my house a bit and I kind of like it but I might let it go for something neat. 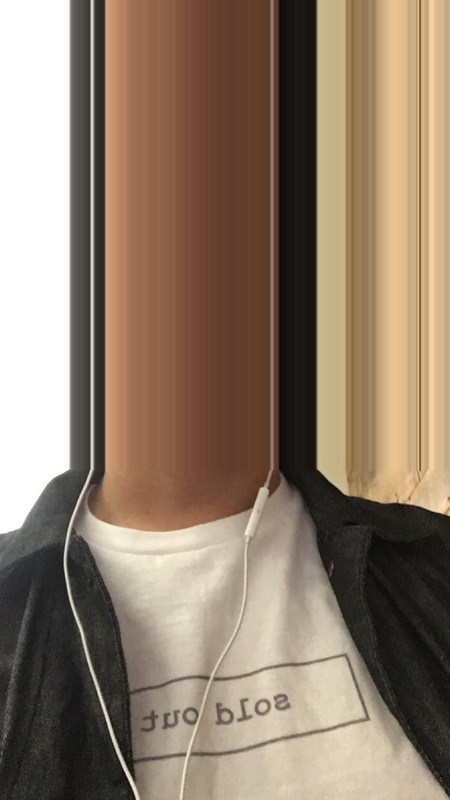 Edit 2. @adiabaticNot fake and they don't feel weak. I do need to update my script though. New North Face collab. Definitely my least favorite in a long long time, probably because I'm not trying to go hunting. Here's an image of it all in one pic also with prices for those who may be interested. I need someone to get the boots and post fits though. They look mad comfy. @meatjacket it'd fit in well in Wisconsin too. I think it's deer season so it's right on time. @cheerupbrokeboy they kind of have I'd say. They had that one pullover anorak that Kanye wore that was really popular for a while and they had that Levi's collab. Also all the camp hats. Not actual realtree but they've had "realer" camo. Anyone manage to cop a bogo? I took a pretty good L this morning even thinking that I had a chance. Site lagged and I couldn't cart on desktop mobile couldn't process payment. Just a mess, had to wear this shirt in preparation for the L though. 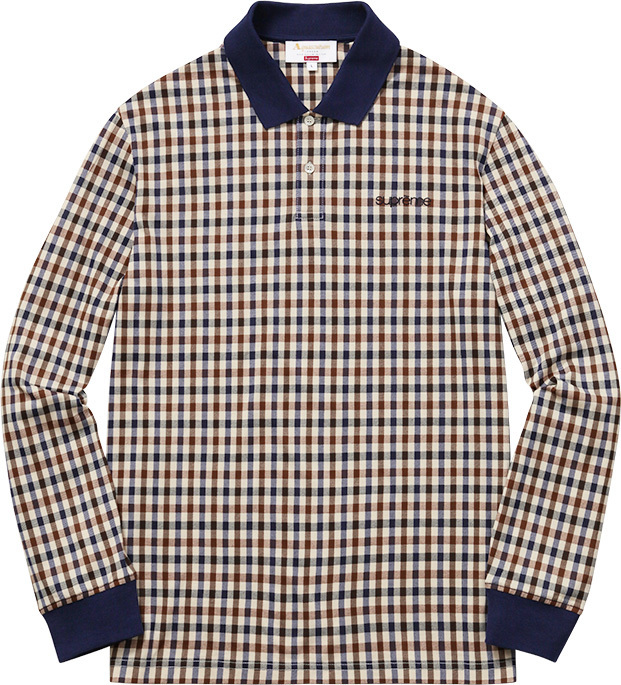 So uh it's now confirmed that there is a Supreme x Louis Vuitton collab. What do you all think? I'm really not a fan of anything that I've seen from it and it seems generally kind of wack. In other news, I got some new decoration for my walls. 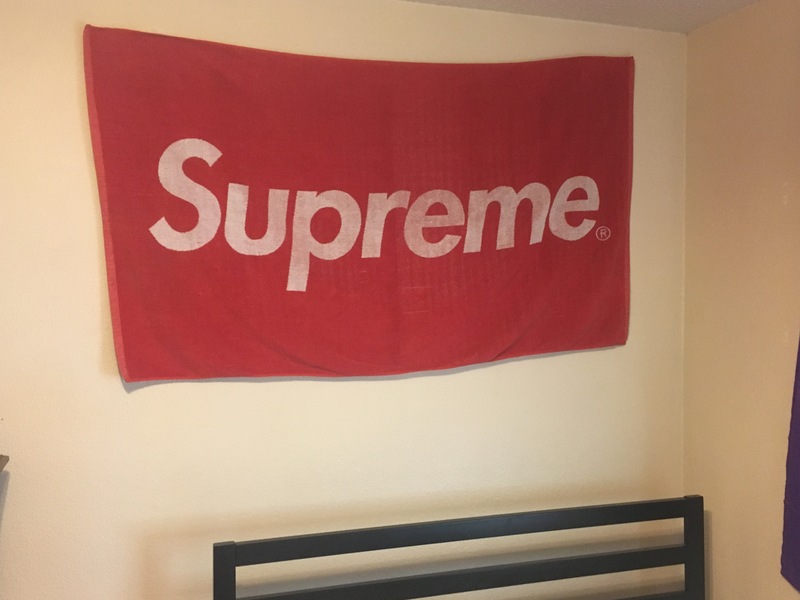 A 2002 Box Logo towel, killing it as a hypebeast still I guess. supreme is only a skate boarding brand when skateboarding is cool and popular let us be real. I am going to enjoy spectating the scramble and mayhem for this collection when it drops in the summer. All ridiculous Supreme hype aside though I thought the show was pretty good and some nice stuff in there.